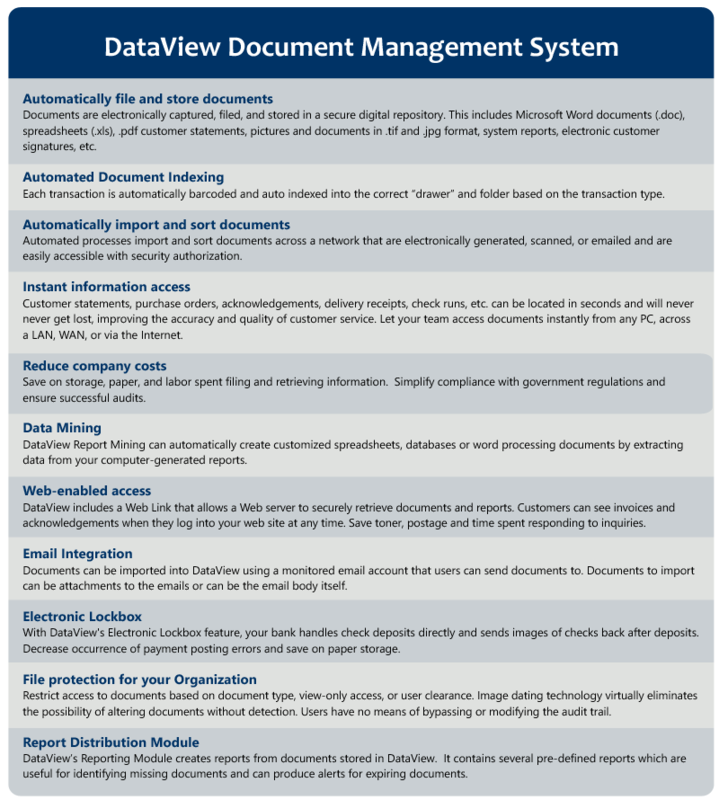 Seasoft Software’s integrated Document Management System, DataView, makes it easy to quickly store, search and access any type of electronic document. 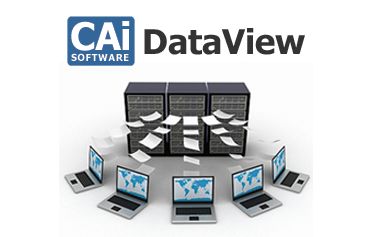 DataView automatically links related transactions for rapid access at any time, from anywhere, indefinitely, on an enterprise-wide basis. DataView help businesses reduce dependency on paper by managing records electronically, improving communication between multiple branches and elevating customer service. Missing, incomplete information can negatively impact your business in many ways. Keeping your data in a central repository, or electronic “file cabinet”, for data verification purposes boosts efficiency, improves document security and closes the loopholes that will inevitably impact your bottom line. Seasoft Business Consultants will convert your data from any Document Management system already in use to DataView — eliminating the need and expense of maintaining a separate server in order to refer back to old data. Ready to find out more? Call (800) 422-4782.